Cedar Valley Exteriors brought an action against Professional Exteriors that alleged the latter had infringed its registered service marks. Two big problems with those marks, however, are that both registrations included the color orange and covered and extraordinarily broad class of goods. As noted by the court, the registrations appeared “to cover any use of any shade of orange in any article of clothing or any form of advertisement related to any aspect of the construction industry.” The court wondered, as would most seasoned trademark attorneys, “how Cedar Valley was able to persuade the United States Patent and Trademark Office (“PTO”) to register such marks is a mystery,” especially since Cedar Valley had limited use of the marks. The court noted the registrations violated the phantom mark and functionality doctrines. The phantom mark doctrine restricts a registration to a single mark, and an application which may cover more than one mark is improper. Under the functionality doctrine, an applicant cannot register a mark that encompasses a functional feature of the applied-for goods and services (e.g., essential to use or purpose, affects costs or quality or would disadvantage competitors if they were unable to use the mark). These doctrines usually arise in applications for color marks. To comply with these doctrines the court used its authority under 15 U.S.C. § 1119 and amended the registrations to a narrower class of goods and services. Cedar Valley is a good reminder to: 1) carefully draft goods and services descriptions; 2) file applications that can be interpreted as only covering a single mark; 3) select a mark that does not encompass an essential feature of the goods or services; 4) consider listing a specific Pantone color in color mark registrations; and 5) consider seeking to amend a registration pursuant to 15 U.S.C. § 1119 to resolve litigation claims. Cachet Financial Solutions, Inc. used another company’s intellectual property in their advertisements. As foreseeable, the other company brought litigation against Cachet. Cachet in turn tendered the lawsuit to its insurance company which was affiliated with Hartford Financial. Hartford declined to defend or indemnify Cachet. Cachet in turn sued Hartford alleging a breach of its insurance contract contending in part that the its business-liability policy and/or the umbrella policy applied. 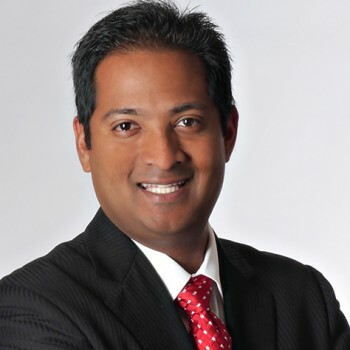 The court declined to dismiss the case at the pleading stage noting in part that there was a dispute on whether the language of the umbrella policy covered intellectual property claims arising out of Cachet’s advertisement. This case is a good reminder to carefully check insurance policies for possible trademark infringement coverage. Cheval used the common law marks “Inside-Out” and “Bug-Off” in connection with a feed supplement marketed “as making a horse smell and taste bad to biting insects.” Cheval sued Smartpak for trademark infringement under 15 U.S.C. § 1114. Smartpak sought summary judgment of non-infringement because Section 1114 only applies to registered marks and Cheval could not demonstrate ownership of any valid mark. The court assessed whether Cheval had established that “Inside-Out” and “Bug-off” were protectable. The court determined these marks were generic for the goods used upon (insect repellant) and granted Smartpak’s summary judgment motion as to these two marks. This case serves as a good reminder to seek federal registration and to choose marks that avoid descriptive or generic connotations for the intended goods. Iowa State University owns the ISU mark. A student group — a chapter of the National Organization for the Reform of Marijuana Laws (NORML) — started to use the mark ISU NORML in association with a marijuana leaf. The University shut down the student group alleging the use of ISU NORML violated ISU’s trademark guidelines, policies and procedures. The student group sued University leaders under 42 U.S.C. § 1983, alleging violations of the First and Fourteenth Amendments. The court determined the University’s trademark guidelines were applied in a viewpoint discriminatory manner and permanently enjoined the University from enforcing the trademark guidelines in a viewpoint discriminatory manner. Gerlich is a good reminder for universities and other state actors to check trademark enforcement guidelines and enforcement policies to avoid first amendment issues. 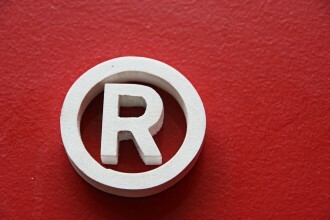 Finally, clients should be reminded to include e-commerce sites such as eBay, Etsy and Amazon in trademark monitoring protocols as there is an increase in trademark infringement based on product listings on these sites. See Oriental Trading Company, Inc. v. Yagoozon, Inc., WL 917903 (D. Neb. May 5, 2016). 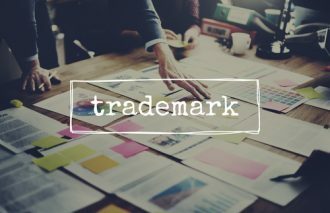 As we move deeper into 2017, remember that trademarks can play a vital role in the life of your business as well as in your intellectual property portfolio. Protect your assets by having clear guidelines for usage, setting a plan that includes a budget, and talking to a intellectual property attorney if possible.